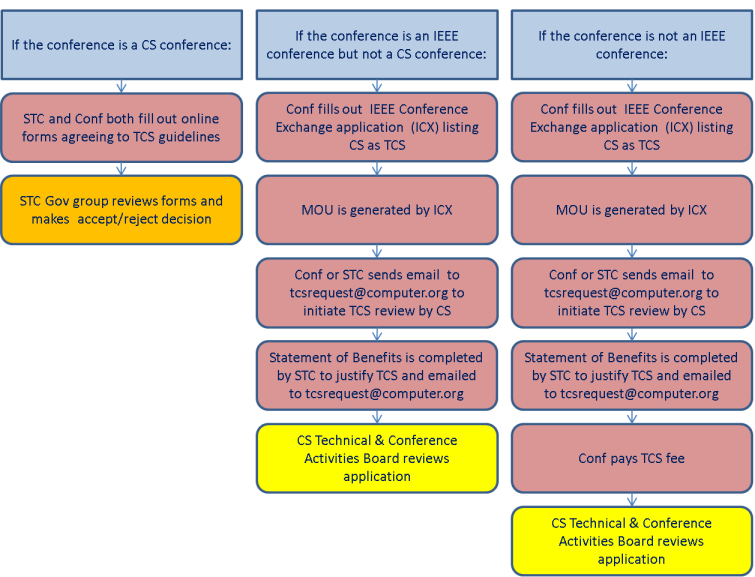 Special Technical Communities (STCs) may consider Technical Co-Sponsorship (TCS) of a conference for a variety of reasons. TCS allows the STC to help participate in the conference technical program and direction as well as to promote and develop STC activities and membership base among the conference community. STCs may also provide additional support to the conference, for example, by increasing the pool of reviewers. The STC and the conference can cross promote their activities, allowing both to extend their presence and reach new and expanded communities.